Hallo Bay, an eco-friendly camp, is located 120 air miles southwest of Homer, Alaska accessible by small plane or boat on the remote Pacific Coast of the Alaska Peninsula. This peninsula is a part of an area called "The Ring of Fire," a volcanically active chain of volcanoes on the edge of the Pacific Tectonic Plate. 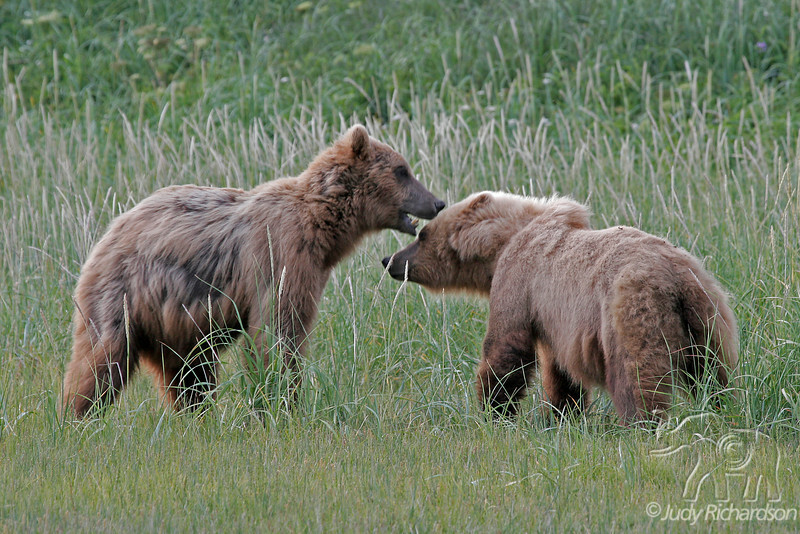 Early in the season Alaska Brown Bears feed on grasses and clams on the mud flats in Katmai National Park before the salmon run in the rivers and streams.